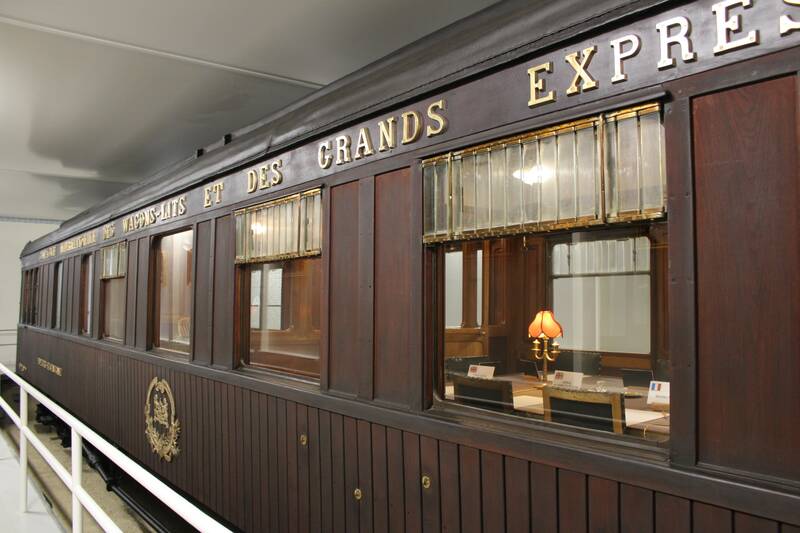 Immerse yourself in World War history, thanks to a special scenography staging the museum’s emblematic 2419D carriage! Belonging to the Compagnie Internationale des Wagons-Lits, the French army requisitioned the carriage in 1918. 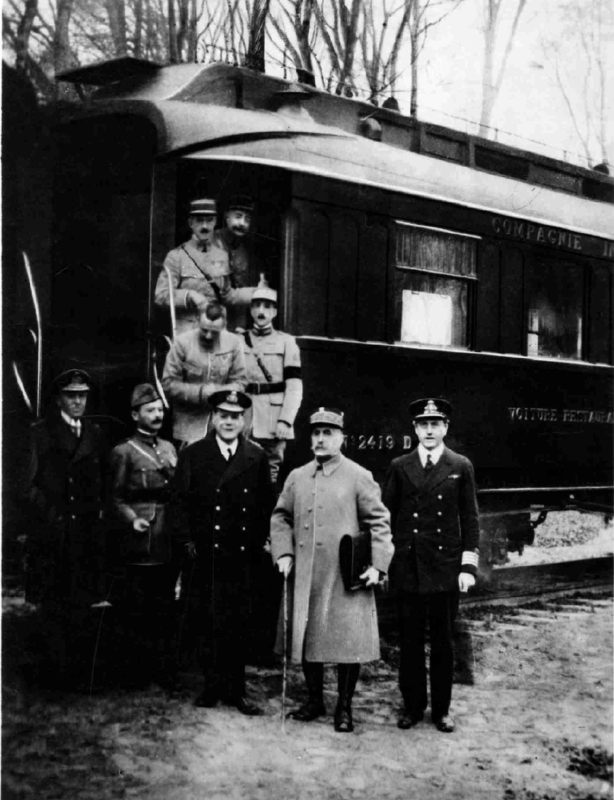 To avoid humiliating the German delegation, Marshal Foch sought an out-of-the-way location near Paris. For this reason, the Rethondes Clearing in the Compiègne Forest was chosen. The World War I Armistice was signed on 11 November 1918 by the Allies and the German plenipotentiaries. 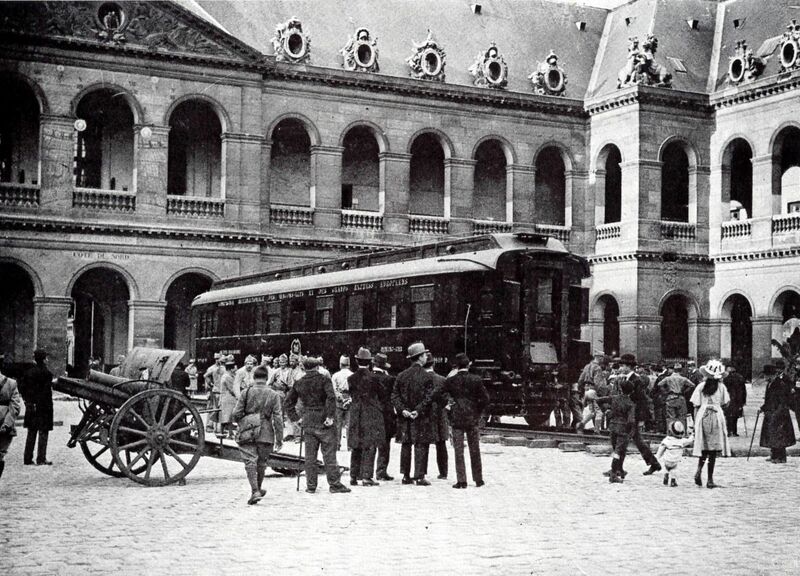 The carriage was exhibited at Les Invalides from 1922 to 1927. It was relocated to the Armistice Clearing in 1927. It was Arthur Henry Fleming who paid for the carriage’s restoration after observing its poor condition at the Cour des Invalides. The carriage was removed from its shelter and installed in the clearing during Hitler’s visit on 21 June 1940. The armistice was signed on 22 June 1940. In 1950 for the opening of the Armistice Museum, a carriage from the same series as the original 2419D was installed in its shelter and identically fitted out and furnished. Today, you can admire a carriage from the same series: the 2439D, identically fitted out and adorned with the original furnishings. The carriage measures 20 metres in length, for a height of 4 metres. From the side windows, you can see the name tags marking the seats of the delegations’ plenipotentiaries. The front of the carriage is adorned with the flags of countries having participated in the First World War. 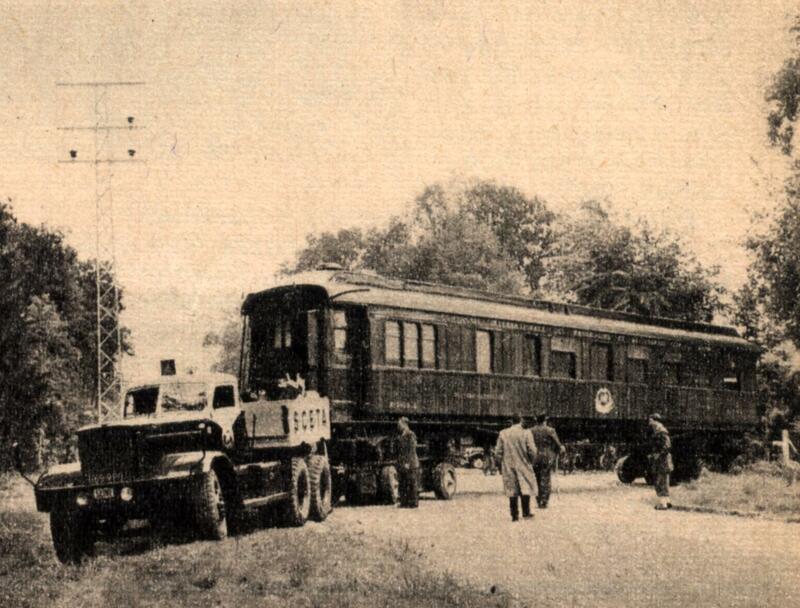 The signing of the June 1940 Armistice effectively sealed the carriage’s sad fate. 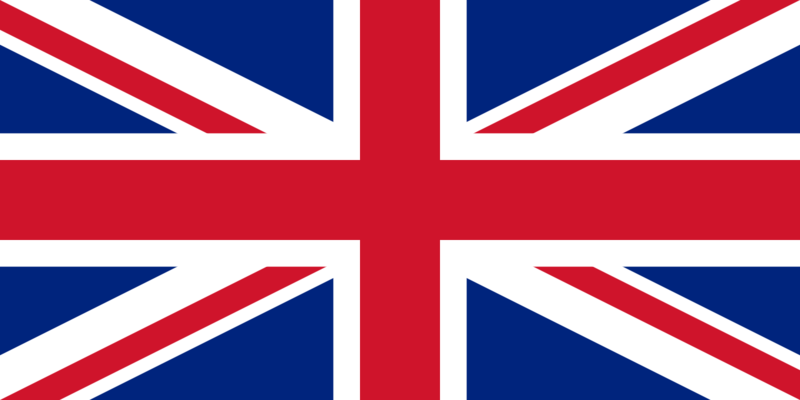 Hitler desired that this symbol be reused to welcome the French delegation requesting an armistice. 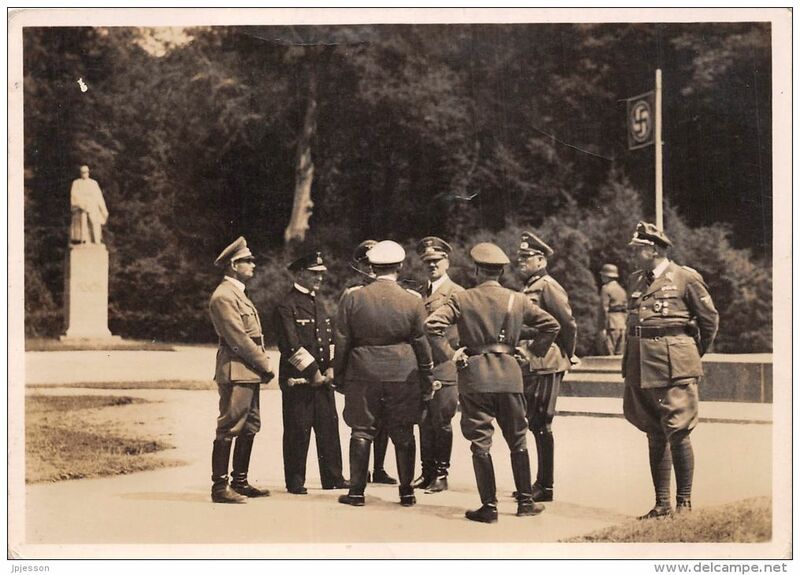 Following his signature, Hitler had the clearing destroyed and the carriage and other monuments transported to Berlin. The carriage would finally be burned in 1945. 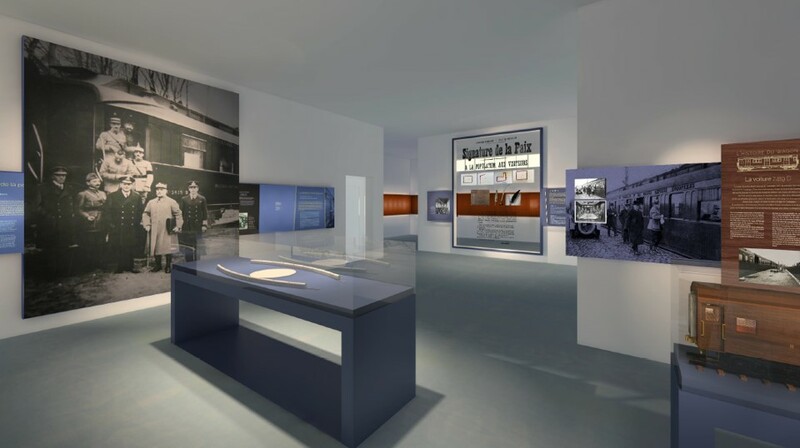 Since the carriage’s installation in a new shelter in 1950, the museum has undergone numerous renovations and extensions. 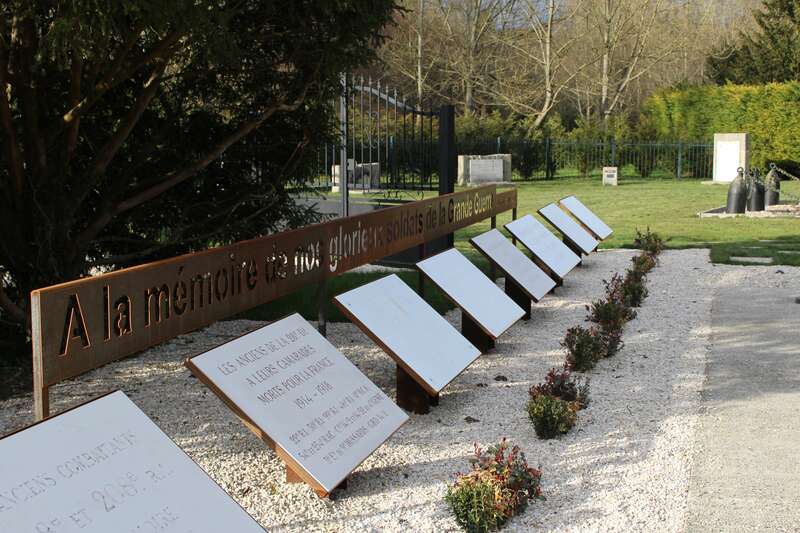 The earliest was carried out in 1992 and the most recent in 2017/2018 as part of the centennial commemorations for the signing of the 11 November Armistice.